Statistics is an important field of study because of its application in almost all walks of life. It is an important branch of mathematics. It is the analysis, interpretation, preservation, and presentation of data. 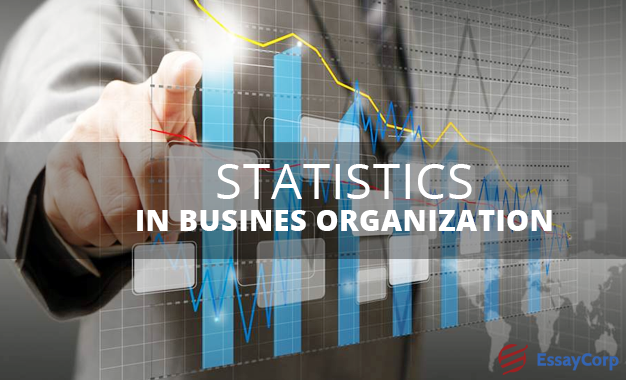 The role of statistics in business management is pivotal. It comes in handy, especially for rating organzation, financial markets, financial organizations, etc. The uses of statistics in business and management are limitless; with the proper skill to implement statistical methods, the managers can increase the production capacity of any plant or find out the optimum production capacity, efficient management of work and employee performance, limit the wastage of resource, etc. Even the most basic of statistics that a student learns in school like the mean, mode, and median can go a long way in the world of business. Finding the mean or the average of a group of numbers is quite significant in business. 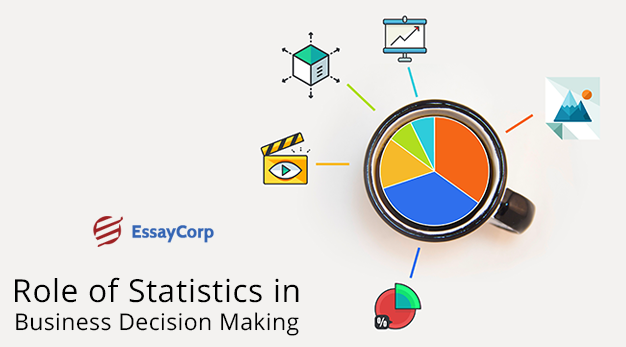 There are several ways in which statistics plays a role in business. Management Of Performance – As mentioned earlier, the importance of statistics in management is significant; with the help of statistics, a manager can analyse the performance or the productivity of employees like the units produced or the task completed. The manager can use the data in sync with statistical techniques to improve the productivity of the workforce and multiply the production. Alternative Scenarios – The task or the function of a manager does not end after increasing the productivity of the employees. A manager has to participate with the other managers from different department for decision making. The decision can be on the choice of particular software, systems for customer automatic ordering systems, etc. Data Collection – The data that is collected for the purpose of processing with the statistical tools must be done in an ethical manner, otherwise, the result of the analysis will be false and non-beneficial. With the help of these data, comparisons can be drawn if the actual sales were less or more than the projected sales or the future capital requirement for the fulfilment of a huge order. Research And Development – The scope of statistics in business also extends to market research and product development. This is one of the most important functions of statistics, as a sample group is observed and their response to a product is tested and data collected. This data is essential in the determination of the launch of new products and the development of it. A manager should have the ability to look at data and make predictions regarding the future of the business or a specific department. It is done with the help of statistics and statistical concepts. Those days are gone when business decisions were made out of hunch or experience of the past similar circumstance. Today, every decision needs to be backed by concrete empirical data. Following are the points that relate statistics and decision making. The Big Picture – Statistics helps a business in getting the big picture with the help of the analysis of the sample population. It can significantly reduce the cost of market research with relatively accurate information about the market. Statistics do not require a lot of time and it is very cost effective. Support Of Judgement – It helps to create assertion in the decision. A decision that is backed by empirical data is more reliable and the manager can easily convince their superiors about the decision. Relationship – With the analysis of data, the relationship between variables can be established. Like the effect on sale due to seasonal change, the effect on sale in comparison with the discount offered. A more detailed analysis of statistical data can reveal several things like the behaviour and the preference of the consumer. Ensures Quality – Examples of statistics in business are Six Sigma and Lean Manufacturing; these statistical tools are extremely useful in business. Statistics makes it possible for the business to produce goods with limited variations and wastage; it also helps increase the productivity of the workers. Thus, saving money and ensuring the best quality with optimum utilisation of resource. Today, there is hardly any business that functions without the use of statistics and statistical tools. Every business small or big uses statistics for its daily function. The use of tools like Microsoft Excel to store, organise, and present data is a typical example of the use of statistics in business. And this is only going to grow with new tools coming into the market. In the future, most business activity will be under the scanner of statistics. Therefore, it is high time that business and to be managers accustom themselves to statistics and its tools.